Internacional players Fabrício and Rodrigo Moledo claims that they were well worth their win and say that the result could've been even bigger. 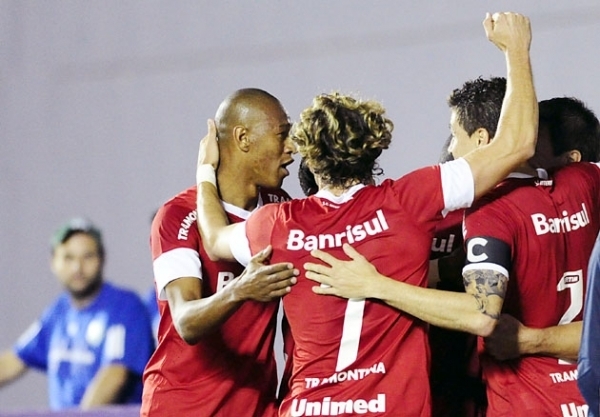 This comes after Internacional claimed the Taça Piratini thanks to a resounding 5-0 victory over São Luiz. The highligh of the day was two superb strikes from star striker Leandro Damião, the latter of which had the crowd rising to their feet in awe of the goal. Fabrício took the time to speak to reporters during the celebrations and claimed they could've scored more. "We had merit, it could've been eight goals. We missed three good chances during the game," said the player. Rodrigo Moledo also added to debate, claiming that Internacional were deserving of the victory. "The team is to be congratulated for the win. The goals came naturally. Now we need to win the second stage to win it outright."